If you are a registered nurse or licensed practical nurse in Oregon, you may have noticed a surcharge on your license fee dedicated to supporting the Oregon Nursing Advancement Fund, but you may not know what that the fund is, or what it does. So what is the Oregon Nursing Advancement Fund? Convenes nursing organizations to address issues and recommendations identified through nursing workforce research. Who pays into this fund and how much? Every licensed practical nurse and registered nurse in Oregon pays $9 per license application or renewal to support the Oregon Nursing Advancement Fund. That is the equivalent of $4.50 a year.  How does the Oregon Nursing Advancement Fund support OCN? The Oregon Center for Nursing is proud to be a recipient of the Oregon Nursing Advancement Fund. Monies received from this fund are earmarked to fund research on the nursing workforce, support annual events to convene nursing leaders from around Oregon, and maintain our website with up-to-date information on nursing in Oregon. How does the Oregon Nursing Advancement Fund support nurses? The Oregon Center for Nursing provides quarterly updates to all nurses in Oregon via the Oregon State Board of Nursing Sentinel. But, if you would like to be notified anytime new information is available from OCN, feel free to sign up for our newsletter at the bottom of this page. In addition, our publications, data and information are free to access on our website at any time. Do other states have a similar license surcharge? Though not every state has a nursing license surcharge to support nursing workforce research, Oregon is definitely not alone. Twelve other nursing workforce centers receive license surcharge fees to fund their work. The cost ranges anywhere from $3 to $40 per year.